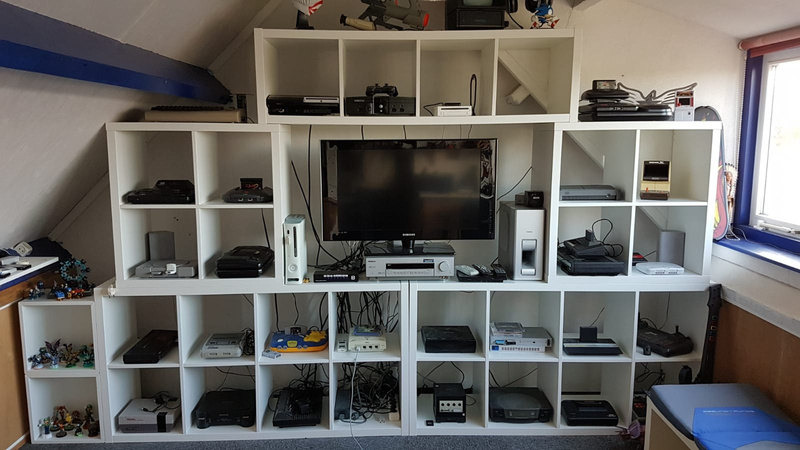 Which retro consoles do you own? Wow, Mini NES, Mini SNES, C64 Mini ! You have them all. Which of those minis you prefer? btw, whats that white console next to qbert ? I had a Schneider PC 1512 SD - until then i also knew pong and atari 2600 consoles, but i couldn’t get past the mega drive and game boy. The gameboy hooked me in nearly the same way the pokitto did - simple concept, lots of games. Wasn’t the Schneider actually a rebadged Amstrad? I chose both paths PC`s from MZ-800 and up, and consoles from a Atari 2600 and up. Only ever sold 2 systems from my collection and i still regret those. (3DO and Genesis) Of course I managed to get my hands on these again later. cool, many nice games for it ? I am a mix of awe and envy. Windwaker is still one of my favourite ever games. That’s probably the most limited edition consoles I’ve seen in one place. I wish I had the room and money for even half of this, but I probably wouldn’t get chance to use it much. I have some old consoles but they’re boxed away and I spend more time on my computer these days. 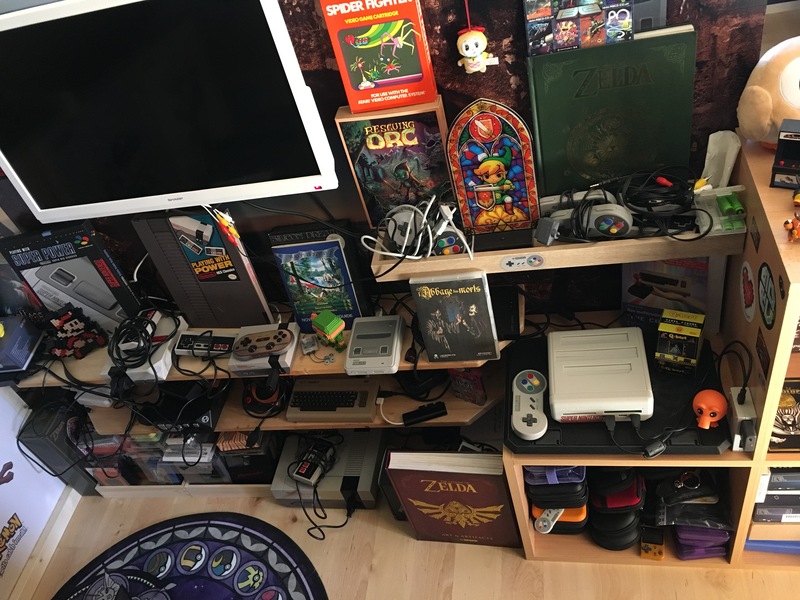 The GBA and the GameCube are my favourites and what I consider the ‘golden era’ of video games, despite some of the other consoles having their own classics. I swear older consoles were built out of stronger materials. The GBA and the GameCube have the least amount of damage/wear & tear. and the GameCube only has a worn-out thumbstick cap on the main controller (mainly due to age and use). The Wii has a broken controller flap (which actually wasn’t my fault, one of my friends broke it). The original DS’s top screen is pretty much falling off. The DSi is broken all around the d-pad where the circular part under the d-pad has pressed up against the plastic. The 3DS has a dodgy R trigger and many chips and dents. The ‘new’ 3DS has a screen scratch (from when it got put in a pocket with a pen), an enlarged battery (silly overheating LiPOs) and a dodgy R trigger. But my game library itself is more impressive. I’ve never sold any game I ever bought, even the terrible ones. I haven’t catalogued them but I’m pretty sure I have about 100-200 games. I think the rarest game I own is probably the Zelda collector’s edition disc for GameCube with Ocarina of Time and Majora’s Mask on the same disk.